For those with long memories of earlier Pro Tools bundles then you may recall the Pro Tools Digi002 Bundle that came with SampleTank - in those days it was a welcome addition to the plug-ins it shipped with. Over the years SampleTank had new competitors such as Structure and Kontakt to contend with, so there has been somewhat of a hiatus for those waiting for a new version. 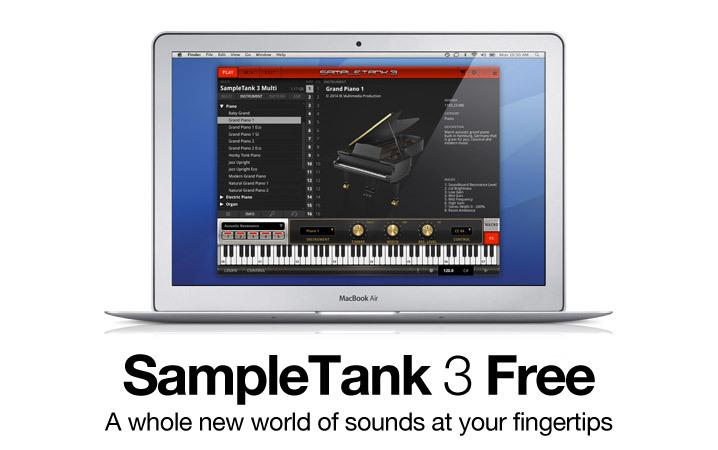 SampleTank 3 was recently released and now SampleTank 3 Free (try saying that when you are drunk) has shipped. Each week IK Multimedia promise to release a free sound to use with it. This week it is a German Grand Piano - don’t worry if you can’t speak German as IK have translated it for us.